This latest installment provides a list of Roberta Morgan Wohlstetter’s published (and a few unpublished) writings from 1958 to 1991. Although Roberta Wohlstetter is best remembered for Pearl Harbor: Warning and Decision , her 1962 Bancroft Prize-winning examination of the failures of intelligence and imagination that preceded Imperial Japan’s December 1941 surprise attack on Pearl Harbor, many of her other writings also remain relevant. For example, insights from The Buddha Smiles: Absent-Minded Peaceful Aid and the Indian Bomb, Roberta Wohlstetter’s 1976/1977 study of how American and Canadian civil nuclear assistance unwittingly furthered India’s military efforts to build and detonate a nuclear explosive device, are still worth considering today, especially as the US contemplates carving out an exception in American and international law that would enable nuclear suppliers to export to India. In an earlier entry, I revisited the historical background, and meditated on the continuing relevance of Swords from Plowshares: The Military Potential of Civilian Nuclear Energy (1979) , an edited volume by Roberta and Albert Wohlstetter, Henry Rowen and others. Suffice to say, so long as nuclear proliferation continues to be a problem, Swords from Plowshares should remain as required reading. The cumulating changes of a potential adversary present severe challenges not only to the intelligence analyst who must try to recognize them, but also to the decision-maker who may have to craft firm yet proportional responses to them. For while under-reaction to such changes risks one sort of disaster, over-reaction risks quite another. Roberta Mary Morgan Wohlstetter died in New York, NY, on January 6, 2007. She was 94. Roberta Wohlstetter, Signals and Decisions at Pearl Harbor, R-331 (Santa Monica, CA: RAND Corporation, 1958). Roberta Wohlstetter, Pearl Harbor: Warning and Decision (Stanford, CA: Stanford University Press, 1962). Albert and Roberta Wohlstetter, Notes on the Cuban Crisis: On the Importance of Overseas Bases in the 1960’s, Offense-Defense Semantics, Keeping Open Possible Aid to Cuban Resistance, D(L)-10647-ISA (Santa Monica, CA: RAND Corporation, October 28, 1962). HTML version available online at the RAND Corporation’s website. Albert and Roberta Wohlstetter, Studies for a Post-Communist Cuba, D(L)-11060-ISA (Santa Monica, CA: RAND Corporation, February 25. 1963). HTML version available online at the RAND Corporation’s website. Albert and Roberta Wohlstetter, On Dealing with Castro’s Cuba, Part I, D-17906-ISA (Santa Monica, CA: RAND Corporation, January 16, 1965). HTML version available online at the RAND Corporation’s website. 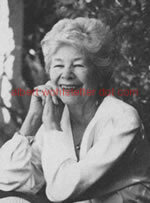 Albert and Roberta Wohlstetter, Controlling the Risks in Cuba, Adelphi Papers No. 17 (London, UK: Institute for Strategic Studies, April 1965). Roberta Wohlstetter, “Cuba and Pearl Harbor: Hindsight and Foresight,” Foreign Affairs, Vol. 43, No. 4(July 1965), pp. 691-707. Albert and Roberta Wohlstetter, The State of Strategic Studies in Japan, India, [and] Israel: April 1966, report prepared for the Carnegie Endowment for International Peace, July 1966. Albert and Roberta Wohlstetter, Metaphors and Models: Inequalities and Disorder at Home and Abroad, D-17664-RC/ISA (Santa Monica, CA: RAND Corporation, August 27, 1968). HTML version available online at the RAND Corporation’s website. Albert and Roberta Wohlstetter, “‘Third Worlds’ Abroad and at Home,” The Public Interest. No. 14 (Winter 1969), pp. 88-107. Roberta Wohlstetter, Cuban Tales and Details, Part II: The 1970 Harvest and US Cuban Policy, IN-21125-SX (Santa Monica, CA: RAND Corporation, August 27, 1970). Roberta Wohlstetter, “Kidnapping to Win Friends and Influence People,” Survey, Vol. 93, No. 4 (Autumn 1974), pp. 1-40. Albert Wohlstetter, Thomas Brown, Gregory Jones, David McGarvey, Robert Raab, Arthur Steiner, Roberta Wohlstetter and Zivia Wurtele, The Strategic Competition: Perceptions and Response, final report for the Director of Defense Research and Engineering (Net Technical Assessment), DAHC 15-73-C-0137 (Los Angeles, CA: PAN Heuristics, January 14, 1975). PDF version available online at Albert Wohlstetter Dot Com. Albert Wohlstetter, Thomas Brown, Gregory Jones, David McGarvey, Robert Raab, Arthur Steiner, Roberta Wohlstetter and Zivia Wurtele, Methods That Obscure and Methods That Clarify the Strategic Competition, final report for the Director of Defense Research and Engineering (Net Technical Assessment), DAHC 15-73-C-0074 (Los Angeles, CA: PAN Heuristics, June 30, 1975). PDF version available online at Albert Wohlstetter Dot Com. Albert Wohlstetter, Thomas Brown, Gregory Jones, David McGarvey, Henry Rowen, Vincent Taylor and Roberta Wohlstetter, Moving Toward Life in a Nuclear Armed Crowd?, final report prepared for the US Arms Control and Disarmament Agency in fulfillment of ACDA/PAB-263, PH76-04-389-14 (Los Angeles, CA: PAN Heuristics, December 4, 1975 [revised April 22, 1976]). PDF version available online at Albert Wohlstetter Dot Com. Roberta Wohlstetter, “Terror on a Grand Scale,” Survival, Vol. 18, No. 3 (May/June 1976), pp. 98-104. Roberta Wohlstetter, The Buddha Smiles: Absent-Minded Peaceful Aid and the Indian Bomb, in Albert Wohlstetter, et al., Can We Make Nuclear Power Compatible with Limiting the Spread of Nuclear Weapons?, Vol. II-1, draft final report prepared for the US Energy Research and Development Administration in partial fulfillment of E(49-1)-3747, PH-78-04-370-23 (Los Angeles, CA: PAN Heuristics, November 15, 1976 [revised November 1977]). PDF version available online at Albert Wohlstetter Dot Com. Roberta Wohlstetter, “US Peaceful Aid and the Indian Bomb,” in Albert Wohlstetter, et al., eds., Nuclear Policies: Fuel Without the Bomb (Cambridge, MA: Ballinger Publishing, 1978). Reprinted in Robert Zarate and Henry Sokolski, eds., Nuclear Heuristics: Selected Writings of Albert and Roberta Wohlstetter (Strategic Studies Institute, 2009). Albert Wohlstetter, Thomas Brown, Gregory Jones, David McGarvey, Henry Rowen, Vincent Taylor and Roberta Wohlstetter, Swords from Plowshares: The Military Potential of Civilian Nuclear Energy (Chicago, IL: University of Chicago Press, 1979). Albert and Roberta Wohlstetter, Gregory S. Jones and Henry S. Rowen, Towards a New Consensus on Nuclear Technology, Vol. 1 (of 2), a report prepared for the Arms Control Disarmament Agency in fulfillment of AC7NC106, PH-78-04-832-33 (Los Angeles, CA: Pan Heuristics, July 6, 1979). PDF version available online at Albert Wohlstetter Dot Com. Excerpt on “Signals, Noise and [the Nuclear Nonproliferation Treaty’s] Article IV” published for the first time in Robert Zarate and Henry Sokolski, eds., Nuclear Heuristics: Selected Writings of Albert and Roberta Wohlstetter (Strategic Studies Institute, 2009). Roberta Wohlstetter, “The Pleasures of Self-Deception,” Washington Quarterly, Vol. 2, No. 4 (Autumn 1979), pp. 54-63. Roberta Wohlstetter, “Slow Pearl Harbours and the Pleasures of Deception,” in Robert L. Pfaltzgraff, Jr., Uri Ra’anan and Warren Milberg, eds., Intelligence Policy and National Security (Hamden, CT: Archon Books, 1981). Albert and Roberta Wohlstetter, Responding to Ambiguous Signals of Soviet Imminent or Future Power Projection, Vol. 1: Overview, draft final report in partial fulfillment of DNA001-80-C-0369, PH-82-5-0369-67-I (Marina del Rey, CA: PAN Heuristics, May 1982). Roberta Wohlstetter, Warning and No Response (Los Angeles, CA: PAN Heuristics, April 1985). Albert and Roberta Wohlstetter, “On Arms Control: What We Should Look for in an Arms Agreement,” unpublished draft essay, May 20, 1985, available from the Hoover Institution Archive, Albert and Roberta Wohlstetter Papers, Notes, Box 118, Folder 16. Published for the first time in Robert Zarate and Henry Sokolski, eds., Nuclear Heuristics: Selected Writings of Albert and Roberta Wohlstetter (Strategic Studies Institute, 2009). This entry was posted in Bibliography. Bookmark the permalink. 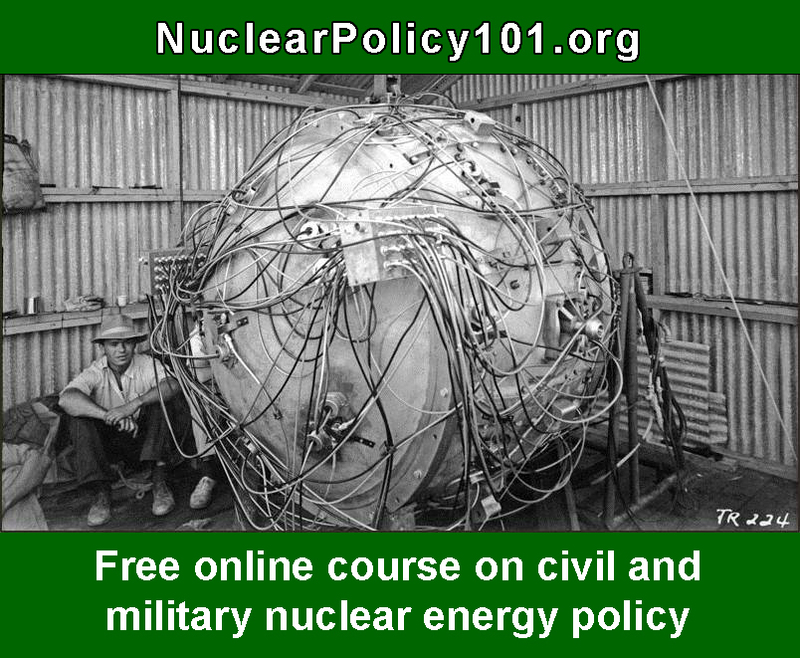 is a project of the Nonproliferation Policy Education Center (NPEC). Edited by Robert Zarate and Henry Sokolski, with commentaries by Henry S. Rowen, Alain C. Enthoven, Richard Perle, Stephen J. Lukasik, and Andrew W. Marshall. Swords from Plowshares: The Military Potential of Civil Nuclear Energy (1979) by Albert and Roberta Wohlstetter, Henry Rowen, et al.